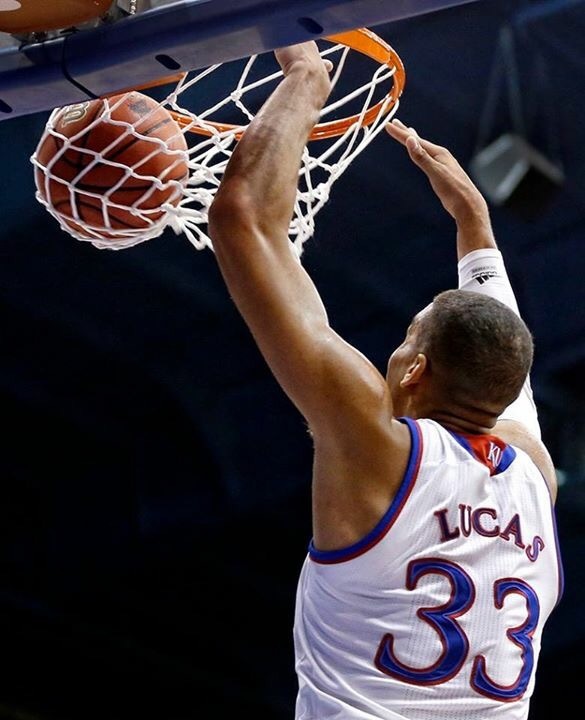 Landen Lucas, the KU center 2012-2017 and Sports Illustrated ‘Glue Guy’ of the Jayhawks men’s basketball team, along with his mother, Shelley Lucas, an educator and leadership development professional, are starting the Landen Lucas Foundation -Sports For Life Fund. Landen knows the value in life lessons learned through sports and he wants to be sure that all students have the opportunity to participate in sports. Therefore, we will be providing scholarships for students in the Lawrence school district in the college town of the University of Kansas, and then in the Portland and Beaverton School districts, where Landen attended school from 7-12th grade. As an educator, I see the negtive impact on students who want to play sports but can’t afford the fees and equipment. Your donation will directly contribute toward the sports fees, equipment, shoes, and valuable life lessons for many underpriveleged middle school students who can not afford to participate in sports without your help! When Landen was growing up, I always told him this, “When you give to others, God gives back to you”. Thank you so much for being a blessing to others! Previous Previous post: Still Have More to the Story….